Currently most care homes are not fit for purpose. A recent study carried out by the Department of Old Age Psychiatry at University College London spoke to 1,544 staff working in 92 care homes and found mistreatment in 91 out of 92 care homes. See Daily Mail 22.9.2018. It means that nearly almost every person in a care home is living in an environment where abuse or neglect is occurring.We only have to read the truly shocking report of Homecrest Dementia Care Home in Wallasey. Where residents were not being assisted to eat or drink and one person was a high risk of malnutrition and one person hadn’t been showered for 19 days. See Liverpool Echo 29.09.18. How do we make our care homes safe? Train all staff to the appropriate level. 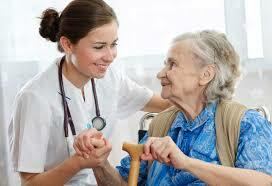 Increase the wages of all care workers. Fit body cameras to all care workers. If a manager is found to be failing be given severe punishment. Currently if a care home is not performing 3 out of 5 criteria all that happens is the CQC with revisit unannounced to see if their recommendations are being implemented. Ensure the CQC reports are posted on the care homes site to enable would be residents to have all the current information. Residents who are self funded should not be subsidising residents who have not the financial resources to fund themselves. How can we implement the above? Contact all Wirral councillors with our concerns. Contact our MPs, particularly on making body cameras enforceable in law. Ask the CQC to talk to us , particularly on where they fail a home on medicine issues. Social services for information on how they assess or chose a home for a would be resident.